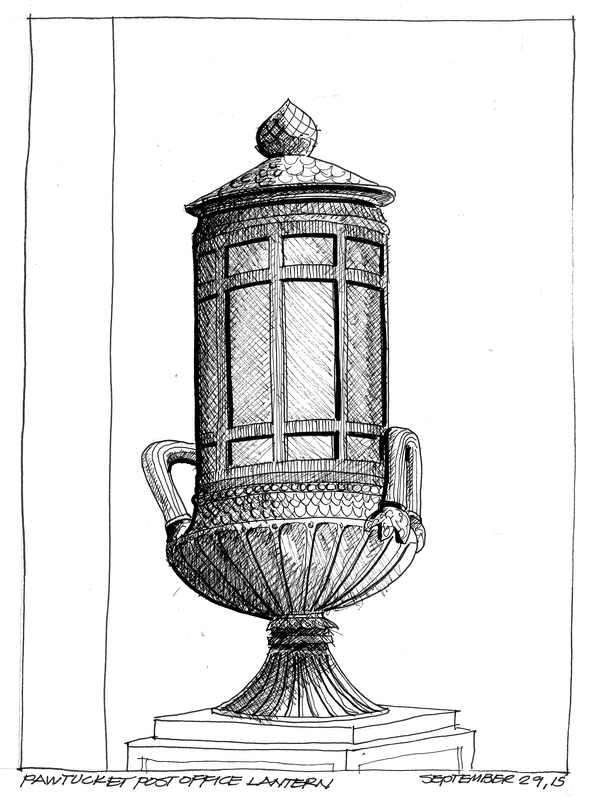 This is a sketch of one of the large (6 feet tall) lanterns that flank the main entrance to the Post Office in Pawtucket, Rhode Island. The lanterns are frosted glass with the metal work being a bronze or brass with a beautiful patina. Faber-Castell Pitt Art pens in a Stillman and Birn sketchbook. Thanks Rebecca. I love contouring with line work.